Most successful businesses are not a one-man show, rather they are the cooperation of several employees serving various roles, working toward a common goal. Each of these roles requires a certain type of person who brings with them their own preferences, needs and habits. Subsequently, determining what kind of physical accommodations to provide your employees may require you to examine the metaphysical accommodations as well. Creating a personalized office space for your employees is an invaluable way to help ensure that they perform to their highest potential. 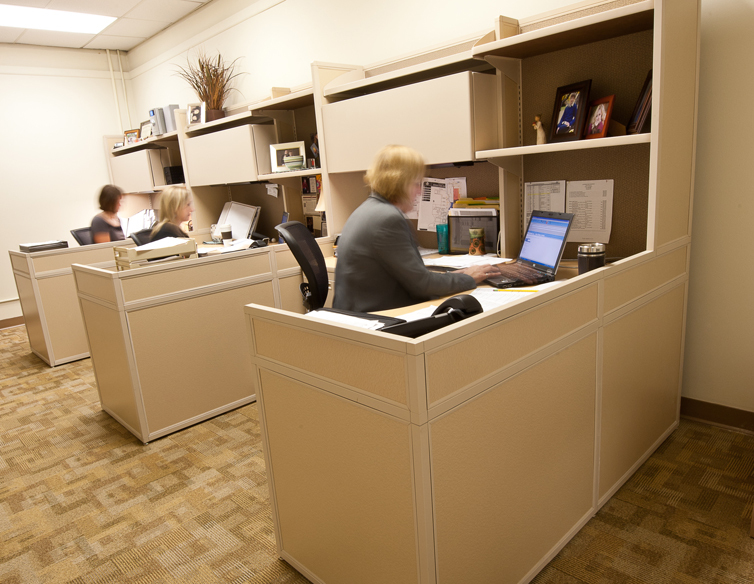 Your employees are not one size fits all, so why should your office cubicles be? 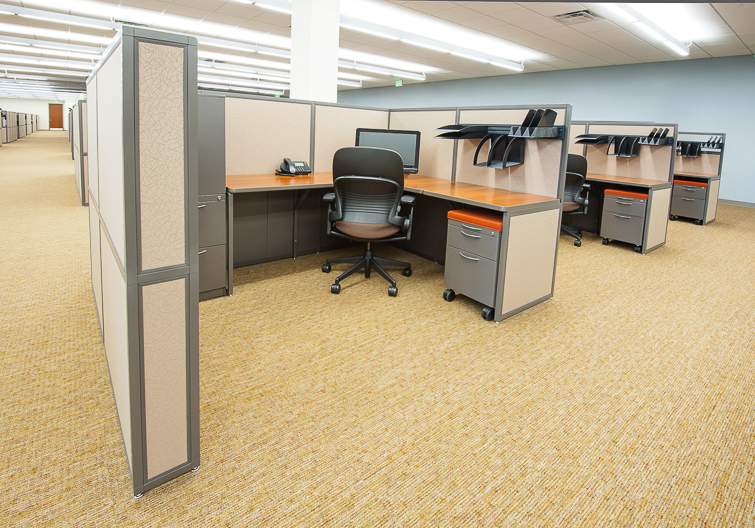 When you choose Interior Concepts cubicle wall height can be modified by the inch. 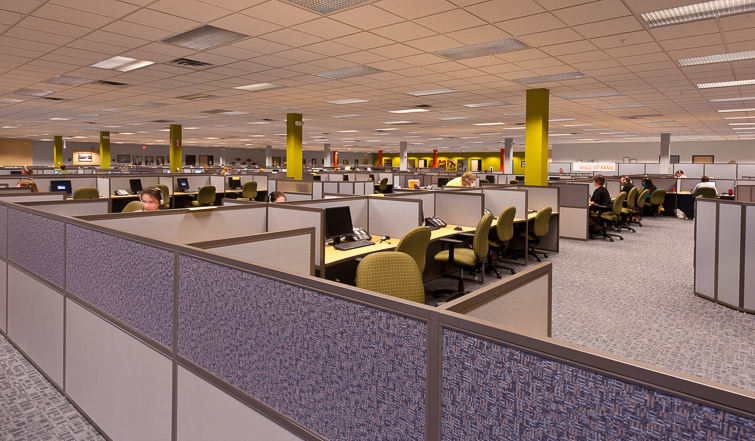 Some employers prefer lower panel heights to create an open office layout for staff to promote interaction and increase visibility. 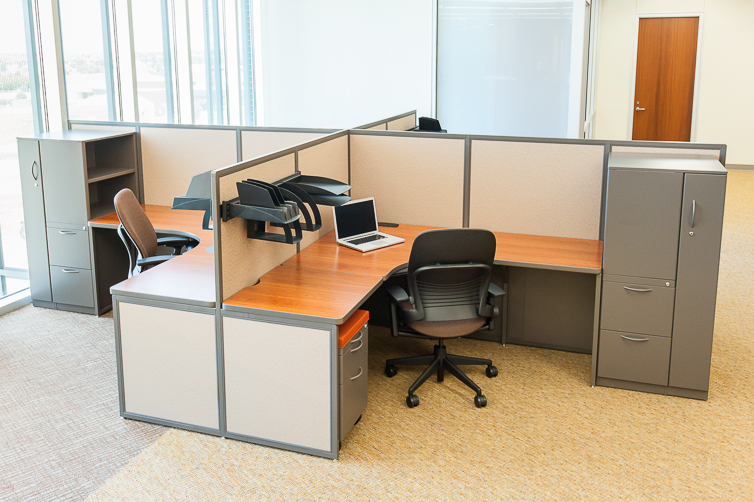 Others prefer their office cubicles to have a higher panel height for privacy and additional storage options. Unlike other commercial office furniture that is only available in six-inch height increments, our infinite range of wall heights offers you the ability to determine what will work best for you. With our ImagineIT! 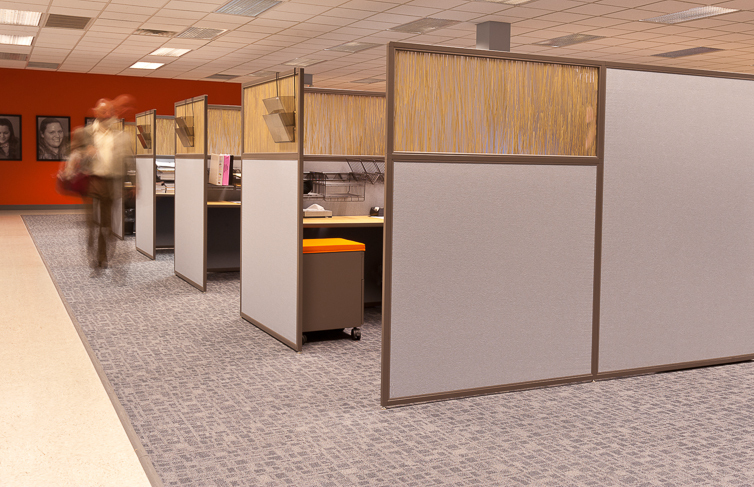 online design sessions we can show you how your office cubicles will look in your space before you make your purchase. This 3D visualization can help you avoid mistakes when creating your ideal office layout. 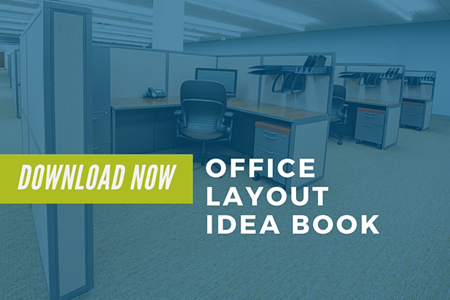 To see examples of office layouts take a look at our office design ideas. 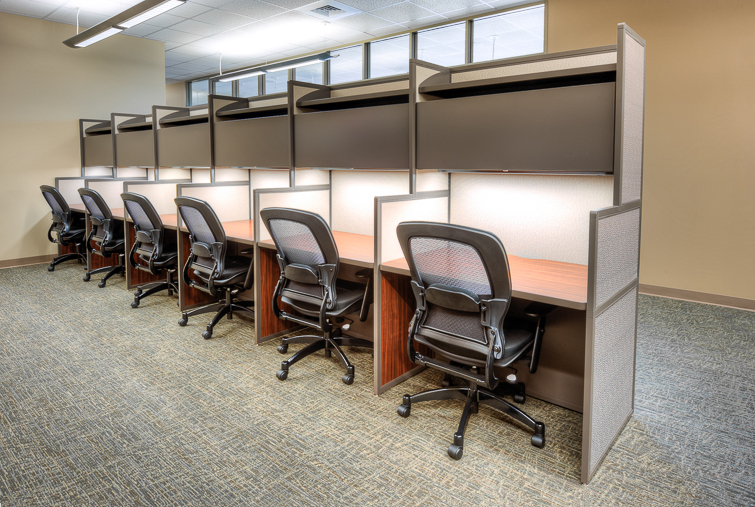 When you work with Interior Concepts not only will you receive quality made in the USA furniture backed by a lifetime warranty, you will maximize your floor space with our office cubicles. 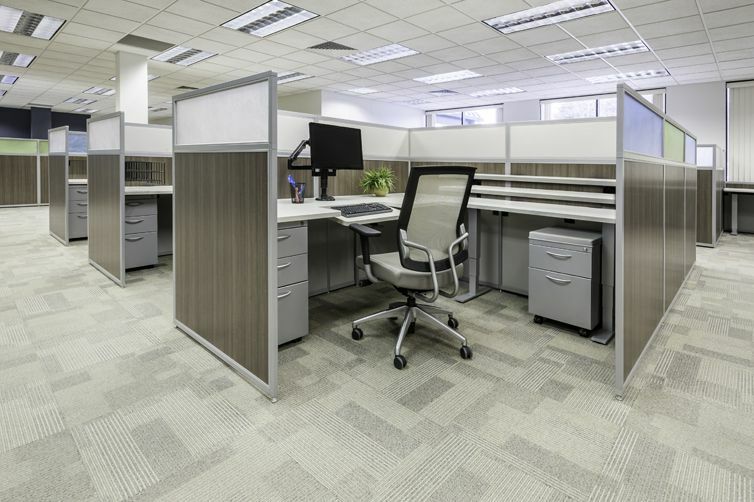 Our offices cubicles are constructed of a durable one-inch thick system that saves space compared to other systems with unnecessarily wide panels. Wider panels could mean that you may need more square footage to fit in the same number of people, depending on the floor space.